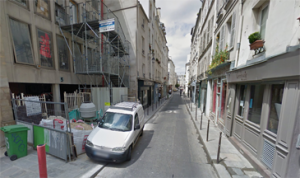 Home » Beauty of Paris » Does Paris Need ‘Epicurean Street’ La Jeune Rue? Some say the initiative is the next big advance in urban gentrification while others claim it will do little beyond turning the Paris neighborhood into a sort of Disneyland for the well-to-do. 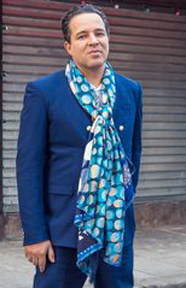 Multimillionaire Cedric Naudon, who earned his fortune in U.S. finance and real estate (and is never seen publicly without an expensive silk scarf), has acquired nearly 40 storefronts just north of the Musee des Arts et Metiers on the rues du Vertbois, Volta and Notre-Dame de Nazareth. 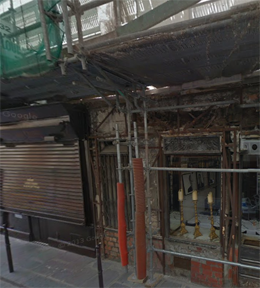 He plans to turn the area into what he calls La Jeune Rue, a series of boutiques, markets and bistros devoted to high-end gastronomy. The first shops will open later this year. Naudon’s slogan for the project roughly translates to “better produce, eat better, live better.” And the developer promises to install only businesses providing organic, ethically sourced, sustainable, zero-waste and eco-friendly products made and sold by only the most knowledgeable and dedicated French craftsmen. But his plans for La Jeune Rue–which are rapidly coming together as construction continues unabated in the region–are more open to interpretation. Some have ecstatically embraced the project, including French banks that are backing the effort. Others, including Paris’s new mayor Anne Hidalgo, are supportive, but are waiting to endorse the project as the redevelopment “plan of tomorrow” until its impact on local residents is fully felt. Others simply aren’t sure what to make of Naudon’s initiative. The Rue du Vertbois is hardly what one would call picturesque, as the photos here drawn from Google Maps clearly show. 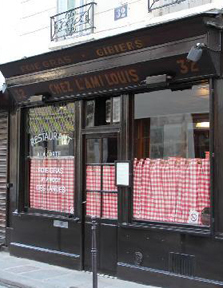 Indeed, other than serving as home to the well-respected Chez L’Ami Louis restaurant, the region has a distinct blue-collar atmosphere.That’s largely because until only very recently the area was populated almost exclusively by working-class families. There are even multiple housing units for low-income Parisians in the area. But, as is happening in other parts of Paris–and, indeed, in most major cities around the world–gentrification is turning grittier neighborhoods into upper middle class enclaves, and the Rue du Vertbois is ripe for such renewal. Its location just north of the very trendy–and very expensive–Marais makes the neighborhood particularly attractive to real estate developers. As is the case in virtually every gentrified neighborhood in the world, however, once improvements are made, wealthier residents begin to move to the region in droves. And as the rich move in, rents and real estate prices soar. Neighborhood residents with average to modest incomes are typically priced out of the area, many forced into suburban communities. Indeed, during the past 20 years, Paris’s working-class population has been cut by nearly one-third, dropping from more than 40% of the city’s population in the mid-1990s to just 27% today. And urban planning experts say that’s almost entirely due to rising rents and real estate prices. But that’s precisely the situation Parisian officials hope to avoid duplicating with the La Jeune Rue project. Jean-Louis Missika, Paris’s deputy mayor in charge of urban renewal, told the Times that while Hidalgo’s administration publicly supports Naudon’s project, it’s a plan that will not be embraced for other communities if it fails to maintain the neighborhood’s current social and economic balance. “Otherwise, you’d just have ghettos for the rich,” he told the Times. Naudon rebuffs those criticisms, and promises that the businesses installed on La Jeune Rue will be both affordable and accessible to all. He even says the project will be good for local residents by creating more than 200 new jobs. But will current residents be among those hired by the new high-end food shops? And will they be able to afford the products sold there? Naudon has already pledged that the shops and restaurants will be run by top-level gastronomes with highly specialized knowledge of their particular products and of the zero-waste, farm-to-table food movement. How middle- to low-income locals fit into those plans is more than a bit of a mystery. Worse yet, Naudon seems to contradict his own pledges of accessibility when he begins raving about the high-end services and products that the boutiques will provide. The elitism practically drips from his words. “You have a monopolist who wants to create his own street, but it’s not for those who live here,” Pierre-Yves Jourdain, a film producer who lives in the area, told the Times. And yet, despite all the criticism of Naudon and of his La Jeune Rue project, gentrification and urban renewal are unavoidable. 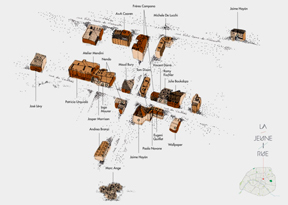 The region around Rue du Vertbois is prime real estate in a city that’s constantly improving. One way or the other, the area is ripe for change. Supporters of La Jeune Rue point out these facts and note that Naudon’s vision is better than simply allowing the region to slowly gentrify on its own, a process that has been seen in other regions of Paris to usher in mostly international chain clothing shops and create a decidedly non-French feel. As Naudon himself accurately points out, at least La Jeune Rue will be dedicated to products created in France by the French for the French. For some, the answer is a resounding “Oui!” Others are vehemently opposed. And for the rest of us (perhaps even most of us), the best we can do is simply wait and hope for the best. This entry was posted in Beauty of Paris, Food, French culture, Gentrification, Marais, Right Bank and tagged Cedric Naudon, La Jeune Rue by Bob Adams. Bookmark the permalink.